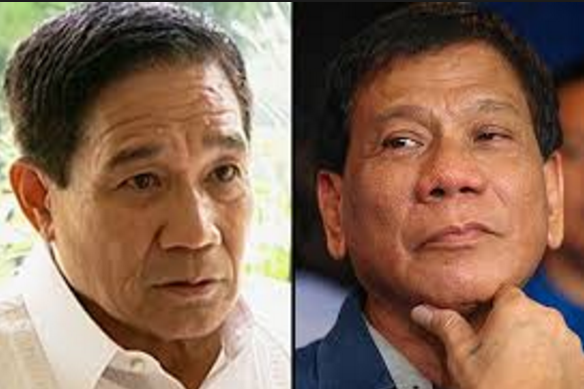 A Cabinet official, national security adviser Hermogenes Esperon expressed his concerns to President Rodrigo Duterte that he would be a dictator during his term as president. "All is know he is very strict and he is bent on enforcing the laws of the land. He's a lawyer and he knows his limits," Esperon said. "Why would he go for federalism which breaks up the country into several federal states? Is that what you call authoritarianism?" Esperon asked. "He will not go for it. So do we call him a constitutional dictator or do we call him a forceful law enforcer, enforcer of the laws of the land, enforcer against criminality, enforcer against illegal drugs, enforcer against corruption, enforcer for good governance? Be the judge," he added. Earlier, President Duterte expressed his praised to former president Ferdinand Marcos, knows as ruled of Martial Law. Meanwhile, President Duterte said that he would not follow Marcos, and he has his own leadership, saying he loves Filipino people and never to go Martial Law.